After 2009 and “Sycroscope“, there is a new release of Sycronomica on the horizon! On April 2, 2013 their new MCD “Neverest” will be released via Nocturnal Empire Production. In addition to two brand-new tracks, the MCD will include the 15-year-old demo “Durch das Geäst”, which is long out of stock. The demo contains four songs from 1998 – thus Sycronomica will take you on a journey through time. As a bonus, the MCD is also packed with the brand-new video clip for the song “Neverest”. 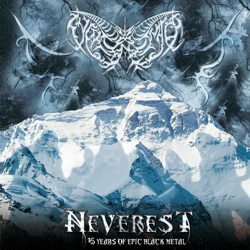 The release-party for the “Neverest” MCD will take place on March 31, 2013 at the Dark Easter Metal Meeting in Munich (in good company with Enslaved, Bethlehem, Dark Fortress, Helrunar….). On this occasion the band will perform a special show with a unique setlist!